"Usage of IBM Lotus notes"
Every organization requires a setup to create and organize the databases from the complex operational procedures. Lotus plays a vital role in doing the documentation of an organization. It is also helpful for the administrators as it allows them to restrict the unwanted access of employees.In some organizations it is used as a training program for database training and enables to define any problem in the systems. The software is not advanced as it needs to provide the updated version which will allow the users to work efficiently and effectively. Also, it is a slow software and is considered as relatively outdated. Moreover, the users finds difficulty to use the software as it does not provide friendly functionality. And the irregular users do not find it easy to use as it is not easy for them to relearn the functions, however, the users who use it very often are very comfortable in using it. It is very useful for the documentation as it makes the work easy through databases. It also helps in the training programs and allows to tackle the operational problems.The employees can easily access the notes to work on by logging in to their emails. "Using IBM notes for documentation"
The IBM lotus notes allows to handle the documentation of workspaces as every organization needs to work on documentation. It helps in organizing and separating the databases. Moreover its categorization ability makes the documentation easy and allows the administrators to make restrictions in the use of the notes.Also, it can be used as a training system for databases or tracking and enables to recognize any shortcomings in the training system. Furthermore, it also allows organization of complex operating procedures in to easily usable databases. IBM Lotus notes is not user friendly as it is not upgraded very often. Also, it is a very slow software and the restrictions made makes it difficult to use. Due to its lack of new version and unadvanced setup makes it outdated and antiquated. Although, the regular users are very fluid in using the software but the accessibility of new and infrequent users is very limited and it is difficult to learn again all the functions for them. It not only allows the documentation to be done efficiently but it also plays a role of a training system that enables to keep the track of all the operations. Also, it can be accessed by the active users simply through an email. Furthermore, it provides a whole setup to organize the operations and make them accessible by converting them to databases. "Back to the future. " IBM Notes has been designed with security in mind from the very beginning. Its security model was based from the start on private/public key pair cryptography, and the hierarchical naming system coupled with a role-based authorization model was 10 years ahead of any other competitor, and it was the reason why it allowed simple and fast development of intranet applications with full control of user rights. It is since 2001 with the announcement of Microsoft Sharepoint Portal Server that we all Notes enthusiasts have had to endure mokery smiles from the new kids on the block... To see that after all these years IBM Notes is still alive and kicking is great, great news, and to imagine those kids 18 years later with their white hair still repeat their usless mantra is also great. This IBM-Microsoft rivalry is integral part of the history, something like Philadelphia Eagles vs NY Giants, and I really like that today it is our turn to rejoice. It is a product different from any other, so users sometimes does not find that common "look and feel"
It has always been the best product to integrate all those business functions that allows people to "Get Things Done", and now it is "on steroid" with a new user interface, best in class email and caledar client and a new IBM Domino 10 backend which fully supports nodesjs. "Gran gestor de correos empresariales"
Tengo aproximadamente 2 años usando el gestor de correos y me parece un buena opción para administrar sus buzones, posee muchas funciones como Listas de distribución, buzones compartidos, Chat interno. no poseo queja alguna sobre su funcionamiento. Los filtros, reglas y distribución de carpetas son bastantes aceptables y útiles. A pesar de que hay muchas opciones de gestores de correo pienso que esta opción es muy buena para trabajar. En lo particular no fue nada difícil adaptarme a las herramientas que allí se manejan. Por mi experiencia lo puedo recomendar sin ningún problema. El entorno gráfico posee las vistas muy bien ubicadas y todo es accesible. Sin lugar a duda una aplicación que deberían poseer en su organización. El costo es un poco alto para mantener el contrato. Puedo sugerir hacer cambios en el entorno gráfico con iconos mas atractivos para los usuarios. La parte visual forma parte fundamental de una aplicación. Para la organización resulta un gestor para correo interno, chat interno intercambio de información vía correo electrónico. La comunicación por medio del chat, el poder compartir printscreen, archivos resulta de gran utilidad. Adicional a ello posee replicas locales de los buzones y compartir aplicaciones e información confidencial de la empresa, como contratos, contraseñas entre otros. A nivel de backups full rápido sin inconvenientes posee un agente que permite realizar estas actividades. También puedes tener un archivado de correos alojados en diferentes servidores, manejar aplicaciones propias de lotus. Es una aplicación muy completa que ayudan mucho en uso diario de los usuarios. Es fácil de usarlo y no requiere mayor conocimiento para poder manejarlo. El usuario se familiariza mucho con la aplicacion y puede hacer un buen uso de ella. What I like best about IBM notes is that it is business friendly. It makes email more so much business friendly. Basically could say that email and business calendar just got flawless or world-class yo could say. It gives team members to access the business email, to the business calendar, the business contacts, the business management capabilities, and more importantly business applications. I also like that it is user-friendly. Best for a team environment. What I dislike about IBM Notes. Let me see. I would say the chat option gives a lot of issues at times, but not on the regular. With some people in our organization, they always want to switch away from it because some people can be inpatient which is normal. Another thing would be since IBM is not the only thing we use it doesn't integrate with other software I would say. So coming from a team leader that could be a little frustrated at times. The business problems that I am solving with IBM Notes are getting to chat with my team on the regular without making a phone call or leaving my desk could just message them right away. Can also chat with multiple people. The benefits I have realized are one We can schedule a lot easier, the calendar is easy to use, the features are very user-friendly. "IBM Notes is effective but basic." I have used IBM notes in my past employment. The application was in use in majority of the departments in our organization where it was primarily used for email, calendar, events and meeting scheduler,contacts management , social networking within the institution (note 9) and also enterprise shared storage. The basic functionalities like the calendar, email, contacts and scheduling is implemented superbly. What I liked about IBM notes is, it has a very simple user interface which makes it easy to use. The application's compatibility with various operating system platform e.g Windows, linux, osx mac etc. IBM notes offers one of the best encryption and message security standards which is key when passing highly confidential information and data within an organization. I also love the easy to backup and recover data functionality. Despite IBM Notes being an effective an helpful application, it has got its challenges. One major factor letting IBM notes is Its old schools GUI, Its less appealing to new users and the tech savvy guys. There are few or no marketing initiatives by IBM to market this product, the should up their game on marketing. IBM should do a revamp and re-engineer this application, they Seem to be letting it Die slowly. Communication within a business is key in making decisions and passing crucial info to stake holders in a business. Without an effective communication and scheduling platform like IBM Note an Institution might suffer breakdown due to ineffective means of communication and planning. Our organization reaped immensely from timely and effective communication, on point meeting scheduling, contacts management all this owing to IBM notes. IBM Notes formerly known as Lotus Notes. This was the very first email client which I used in the IT company I joined. It has all the basic features which an email client is supposed to have. The best thing was its integration with IBM Sametime which made the communication and exchange of emails between the teams really smooth. It also offers file sharing options along with workplace setup which is a huge plus. The updates take a lot of time and in that duration, you can't really use the email functionality. When compared to its competitors like Outlook and others, Its very slow and the user interface also feels outdated. The top-notch security it brings being an IBM product. It's integration with other IBM products like Sametime, Domino is greatly appreciated. Here you have an option of Workspace sharing which you won't find any many of the other leading email clients. Workspaces allow for organization of business-wide documentation. Categorization capabilities make separating databases easy and allow restricted accessibility, which can be defined by administrators. Software is very slow and restrictive. Lotus notes is not often updated, and seems very unfriendly toward users and is relatively antiquated. User functionality is strictly limited by how often the software is used - such that frequent users are much more fluid but for someone who uses it on a weekly or even monthly basis, the learning/re-learning curve is quite steep. There are other softwares that will provide much more user-friendly interfaces, and with Microsoft's recent upgrades to the Office software package, you can accomplish most of the same things with that. Currently our company utilizes Lotus Notes as a training hub and training database/tracking system. It allows us to define shortcomings in our training programs and organize all of our standard operating procedures into on easily accessible database which can be pushed to all active users via a simple email. "Easy mail interface, workspaces helpful"
Our company utilizes the workspace function to create databases in which all employees can access essential files. This is an alternative to SharePoint and we've found it to be more organized. Also access control is a key factor in our choice. The program itself always seems to run slowly. Whether it's loading mail or accessing a workspace/database, it frequently becomes stuck on the loading screen. May be Windows' fault, but regardless, i wouldn't call it perfectly compatible. If you're looking for an alternative to SharePoint or just for a way to organize files and give your employees a centralized location in which they may access those files, IBM Notes gets the job done. It is as organized as you make it. We use this to organize our safety records database, as well as procedural documents and training records. The shared workspaces allow access to essential documents. "IBM notes: decent interface, old school style""
I use IBM notes on a regular basis. I use IBM notes as a scheduling and communication tool mainly. IBM notes integrates well with IBM sametime which is the main reason that some people at our organisation have not wanted to move on. - there aren't a lot of integrations with IBM notes and other applications we regularly use. Notes seems to have been left behind by many. IBM notes works great as a basic email, calendar and chat tool. While there are better and more feature-packed tools available, if you are familiar with IBM notes, there is nothing really wrong with it. "IBM notes, used as an efficient tool for email"
IBM Lotus Notes has been used for years for the office work. It not only provides feature of emailing but multiple other features like inbuilt messenger. Overall it is an efficient and effective email tool to use if you get to know how it works. It has many useful features like auto-emailing which allows any application other than IBM to send emails through the Lotus Notes. It also allows to organize and keep track of the databases. Thus, any type of customization can be done easily. IBm does not allow large attachments to send through emails and this limits the communication to some extent. Moreover, it does not provide with the updates and advanced functions. It is an efficient application for the communication of business purposes through email. Also it is effective for internal and external Communication. It gives advanced email methods and mail management techniques.The search options helps to find what we need of. It supports both IOS and android applications. That's the best part which i like about it. Not only for an email, it can be used as calendar, messaging, browsing as well. While using this software for quite while i am not finding any difficulties in using it. Initially it takes time to understand about the usage for this product. Might get more doubts about how to use it during initial days. Once we get use to it, it is more user friendly. We use more of prototyping within the teams. So instant messaging services we use while prototype so that everyone be on same track. If i talk about benefits it really saves times in team work. "Old style and Strong Secure Email Collaborative Suite"
Calendar and Scheduling are extremely mature and implemented well. Workspaces were easy to set up and manipulate. IBM Notes is a collaboration platform based on the Lotus platform. For a small IT team with higher turn around and higher expectation, Notes is the best platform that I see so far. Suites small, medium and large companies equally. High security standards. Need to solve wide rage of problems through custom developed applications. "I am using desktop workflow application"
This software does not provide the users with new versions and advanced functions. Various applications and and advanced websites are provided out there in the market that works more efficiently and are up to dated. This reduces the number of potential users for the application. it provides the features to send emails and customize different applications according to need of the task. "The best tool for your email"
The interface needs a renewal in the design, this would make it more attractive to the user. We use it in some opportunities to manage the great database that we have, and to share ideas about our audiovisual samples, before making them public, we have also sent the links of our publications by mail with the help of this plan. Our team utilizes IBM notes to centralize any files we need to share within the team in a database. It allows us to work together better as a team and easily collaborate with one another in a central location. It’s easy to communicate with others and schedule meetings and organize a centralized task list. It is our replacement to a Sharepoint site which we used to utilize before moving to this solution. The main thing I dislike about IBM notes is it doesn’t integrate well with the suite of softwares we do have and it’s also one of the lesser known softwares out there. If you already use OneNote in the Microsoft suite it may not be worth it to use both. It’s a little outdated not the most well known software. The ease of use allows our team to work better together. We use it in place of a sharepoint site/dashboard to share information and collaborate better together. We use this to gather requests from our business users for any projects that we need to work on. We also complete any business requirement documents using this software. "Run Away, Even IBM Is"
It sends emails and files to people who are not me. IBM Notes is a mess and there's numerous reasons as to why IBM is leaving this business behind. The interface is from the 90's and early 2000s. I worked at IBM while using the product, and even our implementation lacked commonplace things such as: seamless syncing between web and desktop apps, conference room integrations, and unified mobile app. We used another IBM product called Verse for mobile email, and some people used Verse as their replacement for Notes mobile. We still had to use Notes for ticketing requests, which makes no sense for an email product and became a pain when Mac users would request Windows users to raise tickets for them since Notes didn't install properly on their machines. Just don't do it. This product is going to the graveyard in a couple of years. IBM Notes didn't really solve any problems except for the ability to send someone who is not you information from across the web. It's usefulness literally stops after that one capability. "IBM Notes is a basic scheduling and communication tools"
IBM Notes is good at doing scheduling and does great job as a calendar. It is a user friendly tool. It has a very simple user interface which makes it easy to use. Workspaces were easy to set up and manipulate. Email integration was sometimes difficult. Compared to other chat tools and calendars, IBM Notes looks like it is from the 90s. It has an issues of chat crashing sometime. Overall the performance is not that much bad but still there are some issues regarding compatibility in email. IBM Notes integrate well with IBM Same time which is the main reason of using this tool over any other. "IBM Lotus Notes, the best email tool used so far"
I have used Lotus Notes in office for 4 years. Besides regular email, this has so many useful features, one of it is the inbuilt messanger. I would say if you get a heck of it, it is one of the best email tools so far. I have also worked towards implementation of auto-email, where any of application (non IBM) could send email via lotus notes. Hence I can say that any form of customization is very simple ams quick in this application. Only drawback is the capacity of attachment which we could send over email. Sometimes that becomes a limitation in communication. "Great! but could use some slight changes!" * IBM Notes does a great job as a calendar and scheduling tool. * The features available on mobile are comparable to that found on a desktop. * Very simple user interface keeps distractions to a minimum and makes it easy to use. * Domino Server updates sometimes did more harm than good and needed to be rolled back. have been left behind by many. Be sure to take your time and not to try to rush through learning it or you will struggle with it. A problem it is solving is cost reduction, due to the fact that it is reducing user training. Also, it is enhancing capability by workflow and integration between applications. "The IBM Note collaborative platform "
What I like in IBM note is grouping my emails according to dates and some times which is a great as to have gone through all the emails on a page scroll which is too tiresome work. Nothing can be disliked in IBM note, I say. My opinion is IBM Notes is the best recommended for you. Go for it, get it easy. It solves very many issues, like sorting emails by instant search, I can reach my contact without no hassle, pap!. I still can use instant messaging and its a nice user directive. Thank you, IBM. "MS Office/ Outlook is a better choice"
Quite frankly there is really nothing that comes to mind that I like about this software. Cumbersome interface, less intuitive than MS Office. Doesn't integrate well with mobile phones. From a user standpoint this product has not aged well since it's early days as Lotus Notes. Since most companies use MS Office already, I don't see any good reason to use IBM notes along side it. My company is transfering us to MS Office 365 in the coming months and I couldn't be happier. "use this daily for email and meeting scheduling"
" Simple and practical communication and collaboration system"
The ease of use of the tool has made my day-to-day work much easier and more flexible, it was very helpful to use this software I highly recommend it. "IBM notes is difficult to setup, not user-friendly, and has a dated interface. " There are many settings to tweak and the software is highly customizable based on your preferences. The search function is very hard to use. Search results almost never yield what I want them to. In addition, scheduling meetings and finding available times should be much more accessible; you have to click through multiple different tabs just to see all invitees availability. Flow of communication such as meetings and email. Sharing of files, sharing of calendars. The other functions within IBM notes are not worth figuring out how to use. "Email management software that improves workflow for our call center reps"
IBM Notes integrates over our email system so our call center and sales people can better manage their clients and day to day activities. It gets the job done and it's sold by a large, trusted organization. I think one of my issues is with price. IBM notes isn't cheap but for small companies it can be manageable. IBM allows our salespeople to better manage their clients and day to day activities in a manner consistent with our needs to securely transform email into an operational center. I think that it isn’t widely known about throughout other businesses. So it’s hard to transfer notes or schedules through the software. When using IBM notes, we are solving the issue of miscommunication because meeting or notes, has been transferred over to the software. It’s easily accessed by everyone who is involved. features available on mobile are similar to that found on a desktop. Very simple user interface keeps distractions to a minimum and makes it easy to use. They haven't done a great job updating it, it looks like it's from the 90s. Moreover, there are not many integrations with IBM Notes and other applications people often use. Notes seems to have been left behind by many. Since it's very simple, I don't get troubles when trying to use my notes. I don't waste time trying to understand how it works . Very simple user interface keeps distractions to a minimum and makes it easy to use. "Using application of desktop workflow"
It is capable of customizing the applications to work according to the need, designing groups for discussion of staff and other workflows of a business. The creators should think on the development of the application because it is quite outdated and application with modern features are available for the people to use. The best use of it is you can email your clients/customers and customize the apps. 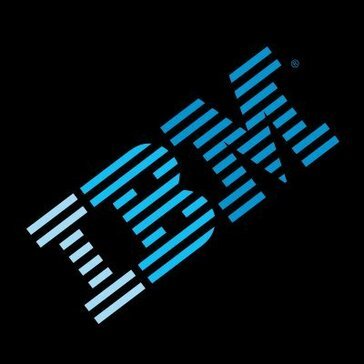 I like IBM that helps makes the scanning efficient and good with the Clerks, Marketing Sales Representatives in the Packaging and Conmon Goods Department. The business problems UPS encounters daily are numerous mislabeling from the scanning system on the packages if the productivity is not coinciding with the volume layout. "Routinely usage of IBM notes"
Its advantages are that it allows to do filing and also works well with my gateway system. Moreover, it keeps record of files and databases. Very time consuming and stuck frequently on loading in the system. Completion of work remains delayed. "IBM notes formerly Lotus notes"
I have used IBM Lotus Notes as default email client after switching from outlook and since then I can not imagine even single day in my office without it. it does a great job as a calendar and scheduling tool. Sometimes, I observed constant issues with chat crashing. There aren't a lot of integrations with IBM Notes and other applications that I regularly use. "Avereage, not great, nothing terrible"
IBM Notes is very reliable and easy to set up.The ability to create databases is also very helpful. And security is top notch, which is one of our big concerns. There is a lack of customer support, and we can't turn off read receipts on email. This is especially troubling when opening spam email. Check out Slack. It's much easier to use. IBM Notes allows us to collaborate better and streamline the communication process. We've used it to coordinate on multiple projects and track progress. "Desktop workflow application that is quite outdated"
I like ability to create discussion groups, custom applications and business workflows. I do not like the lack of development of this application by the creators. There are more modern solutions on the market. Mostly using this software as a e-mail client and for custom applications. IBM notes allows myself and colleagues to be able to switch between emails, calendar events, and notes and it's all accessible by a mobile app for on the go. The app sometimes has some glitches or it takes awhile to update information from other colleagues. We are having the capability to be able to access information from one persons notes from anothers. This us very helpful in the event that a person is unavailable to talk with, their notes are accessible. IBM Notes give a massive level of security when it comes in managing your mail tray without loss of information, providing the best functions to organize incoming and outgoing emails. I like all of the linkages to databases within the company. I also like the GUI. It was easy to navigate and very alternative. Besides it having a few bugs and constant crashes I can't think of a single con to this software. The customization isnt quite there yet. I understand it's more formal for networking and business but I enjoy a large amount of customization in any interface. Its awesome cause it's like if you combined Google plus with linked in. Its nice having all of my networking needs in one space which frees up time. Personally I don’t like to complain if the job is done and I didn’t Notes did the job. I like that it comes up with cool designs and logos. There's nothing about it I dislike at all. We've been able to share project wide and work simultaneously on the same documents. "Perfect interface and very easy to use"
Wish to have more features in future. Lack of feature. My organization is a small IBM Business Partner. We use Notes for email and application development. It provides us secure access and storage of our mail data. Since we are small, it's used across the organization. We can also do team scheduling through calendaring and/or custom applications. I do not have any dislikes. I love everything about it. We write business-critical applications in Notes and Domino for our customers. "I use IBM notes daily"
Its filing capabilities and how it works with our Gateway system. "What IBM Notes can do? " For not so big websites or webpages This Technology dont have a lighter version. IBM needs to come up with a better solution. With IBM Notes it has easy web services development and deployment. And also it easy to connect with other database like SQL, Oracle and other. all information is stored in a domino server. In which users can store the info in a centralised server which eases the data management. It’s Ui is not friendly whwn compared to the Microsoft’s outlook. We were using IBM notes 9 and then we moved to outlook which is a lot more compatible. "Solid but probably not worth Cost"
It’s secure and you can share. It’s also Convenient to schedule through Calendar or other applications. Cost is expensive. There’s some bugs, which is always going to be a people’s eith technonlogy. Can provide secure access and storage to data. It’s nice to be able to work together throughout company. "IBM Notes is great for teams to work with content management capabilities on other IBM apps"
"It serves its purpose "
Workspaces were easy to set up and manipulate. The notes has top notch security . We have had alot of issues with chat crashing. Which is why we no longer use notes. IBM Notes did a great job as a calendar and scheduling tool for our office. * We monitor all IBM Notes reviews to prevent fraudulent reviews and keep review quality high. We do not post reviews by company employees or direct competitors. Validated reviews require the user to submit a screenshot of the product containing their user ID, in order to verify a user is an actual user of the product. Hi there! Are you looking to implement a solution like IBM Notes?